Our estate planning hats are on this week, and we have two fundamental but essential questions for readers: (1) Do you have a will? and (2) If you do, have you updated it in the last year? Don’t Let State Laws Determine Who Gets Your Assets – when a person passes, and it is determined that he/she did not have a written will, then state laws will usually determine how the person’s property will be distributed. Though the state will generally opt to distribute property amongst family and close relatives, the fact that the state is making the decisions is problem enough. You work hard for the assets you accumulate over a lifetime. It should be up to you how those assets are distributed. Reduce Stress on Your Family – it’s an all too common story when it comes to settling an estate – family members disagree over what to do with the property and assets, who gets what, what the deceased ‘would have wanted,’ and so on. The quarrels that follow are often stressful, divisive, and expensive. Some family members and relatives may not always agree with how you structure your will, but at least your wishes will be clearly documented and indisputable. Ensure the Process Goes Smoothly – when you create a will, it is also important to name an executor, or the person/representative who will help see your wishes through and essentially oversee the execution of your will. Your executor can be a neutral third-party so that he or she can objectively carry out your instructions without getting emotionally involved in the process. Create a Legacy – maybe one of your desires is to use your wealth to pay for the education of grandchildren or great-great grandchildren you never have the opportunity to meet. Or perhaps you want your money to go to various charities of your choosing, over time. Whatever your goals, a will can help you lay out what you want to happen, and how. 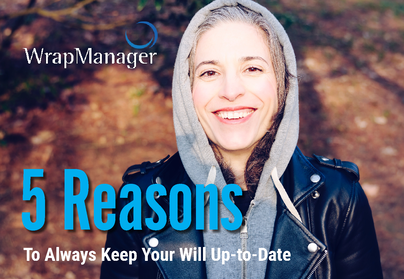 Establish a Back-Up Plan to Trusts or Other Estate Plans – some readers may have a living trust set-up and/or another estate plan in place, so they do not think a will is needed. But having a will could actually provide a crucial ‘catch-all’ for property that may not be included in the living trust. What’s more, often times questions like, ‘who will take care of your pets?’ are not answered by a living trust. A will can make sure you cover all bases. There is often a perception that writing a will is for people who are at or are nearing retirement, or for those who have large estates. But that’s not the case – if you have any amount of assets, and especially if you have children, it is never too early to establish a will and update it regularly. There are five reasons above that you should make it a priority if you haven’t already. The task of estate planning feels daunting to many, and we understand why. It’s uncomfortable to think about how you would want to distribute your property after your passing, and it also involves critical decisions and plenty of paperwork. WrapManager can help you get started, and we can be your advocates in the process along the way. We’re not estate planning attorneys but we can help you interphase with them, and we can talk to you about how to manage your assets for your long-term estate planning objectives, and we can be there to help remind you when it’s time to review and update your plan. Get started with us today by calling 1-800-541-7774 or by sending an email to wealth@wrapmanager.com.